Bacharach & David versus Goliaths Lennon & McCartney: Which Were The Best Songwriters? As I watched “BBC Four……Sings Bacharach and David”, I was astonished by the depth of their music, but not their back catalogue of classic songs. That’s because for a number of years I have been in possession of their ” The Look of Love” Greatest Hits CD. However even I needed to be reminded of the complexity and brilliance of their hit records, put into context by regular footage of the studious and perfectionist Burt Bacharach putting a forty piece orchestra through it’s paces. Such is my awe of the genius of Burt Bacharach, I was left contemplating the unthinkable – that Bacharach & David might just eclipse Lennon & McCartney as songwriters!! In the documentary “BBC Four……Sings Bacharach and David”, Dusty Springfield narrated a comprehensive and fascinating profile of the songwriter who won an Oscar for the Butch Cassidy and the Sundance Kid score, enjoyed stage success with Promises, Promises and whose classic songs continue to influence modern music. The pantheon of the great and good of the music world, ready to pay homage at the Temple of Bacharach, was breathtaking – Dionne Warwick, Noel Gallager, Herb Alpert, Elvis Costello, Cilla Black, Richard Carpenter and Carol Bayer Sager. Their tributes were glowing, but in the end were almost rendered unnecessary as the footage of Burt Bacharach’s classic songs re-inforced to the viewer that we were in the hallowed company of a genius. 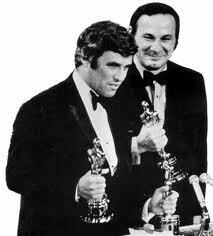 Genius is an overused word in the media, but not in the case of the understated Mr Bacharach!! His music has already and will continue to stand the test of time and puts him in the same category as Mozart, Handel, Beethoven, Brahms and Liszt. 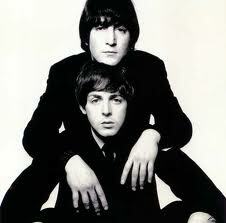 And of course the music maestros, Lennon & McCartney. So which songwriting partnership would you vote the best – Bacharach / David or Lennon / McCartney? Let us know in the Reply Box below. Alternatively this would make a unique present or original gift for a special celebration ie a Wedding ( Wedding First Dance Song ), an Engagement Party ( Our Song ), a House Warming Party, a 21st, 30th, 40th, 50th, 60th or 70th Birthday, a Silver, Ruby or Golden Wedding Anniversary, Father’s or Mother’s Day or Valentine’s Day!! THE PERFECT PERSONALISED PRESENT!! « The fun of Glam Rock in 1973 was a perfect antidote for a year of economic strife!! I think Hal David and Burt Bacharach went their separate ways soemtime during the recording of the “Lost Horizon” soundtrack. In the 80s, his lyricist was his then wife Carol Bayer Sager and they wrote some of the best and most memorable songs for that decade – Reservations For Two, Love Power, Love Is Fire (Love Is Ice), On My Own, Arthur’s Theme, Stronger Than Before, etc.